Bengaluru-based Wickedride Adventure Services Pvt. Ltd, which operates dockless scooter and bicycle sharing platform Bounce, is in advanced stages of discussions to raise $50 million (Rs 348 crore) in a fresh funding round from new and existing investors, two persons directly in the know told TechCircle. Bounce’s existing investors will double down on their previous investment in the firm and are expected to invest $30-35 million, or three-fourths, of the targeted $50 million, one of the persons mentioned above said. Sequoia Capital, Accel and the family office of Sutures India chairman Chandrasekhar Gopalan are among Bounce’s existing investors. WickedRide is in talks with multiple new investors, primarily from overseas, to raise the remainder of the sum. Russian billionaire Yuri Milner, who runs DST Global and is an existing investor in the company, may also put in money in this round, the second person mentioned above said. Milner had made an undisclosed investment between May and June this year in the two-wheeler sharing firm, the person added. Milner typically makes bets via three investment vehicles -- DST Global, Apoletto Fund and Jesmond Holdings -- and the fresh infusion in Bounce is likely to come from one of them. Bounce will likely close the entire $50 million round by the end of January next year, the second person mentioned above added. On Friday, TechCircle reported that Bounce was close to raising over $10 million from new and existing investors. It also separately secured a smaller sum from impact firm Omidyar Network, who came on board as a new investor. The $50-million fundraise is a new and separate round from the $10 million one, the second person mentioned above said. E-mail queries sent to Vivekananda Hallekere, Varun Agni and Anil G, co-founders of Bounce, did not elicit a response at the time of filing this report. Last month, Bounce acquired the India assets of Chinese bicycle sharing unicorn Ofo, which winded up operations in the country in July this year. Over the past few months, the company has raised capital in equity and debt across multiple rounds. In September, it secured $3 million (Rs 21.79 crore at current exchange rates) in venture debt from InnoVen Capital. In August, it raised $12.2 million (Rs 83.6 crore then) in a round co-led by Sequoia Capital India and Accel and had rebranded itself from Metro Bikes to Bounce. The two-wheeler rental firm was started in 2014 by Hallekere along with Agni and Anil. The company initially offered motorbikes and scooters on rental primarily for urban commuters. It tweaked its business model to the dockless scooter sharing service but has continued to run its rental business. With the Ofo deal, it will now offer dockless bicycle sharing. It also offers a monthly subscription-based plan where a user can pick up a bike or scooter from a metro station, take it home and drop it back at the station the next morning, information on the company’s website states. 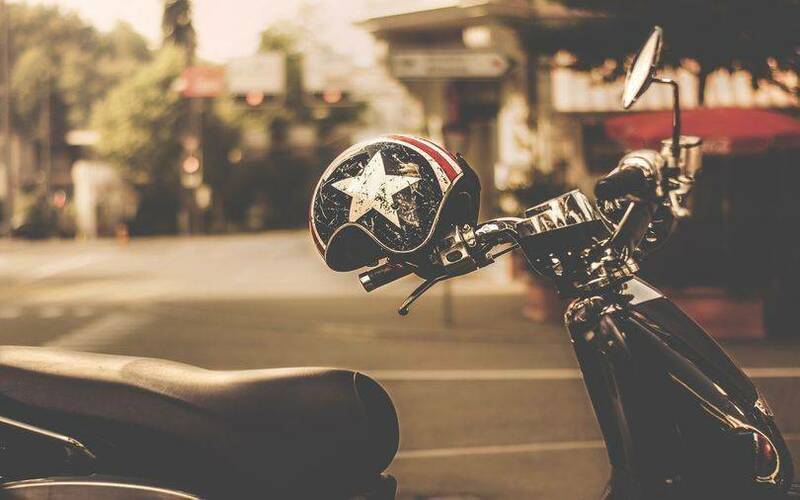 Besides Bounce, the company also operates WickedRide, a premium motorbike rental platform that includes brands such as Harley Davidson, Benelli, Royal Enfield, Kawasaki, Triumph, Ducati, KTM and Americana. Users can rent a bike on an hourly, weekly and monthly basis. The service is available across more than 10 locations including Bengaluru, Mysore, Jaipur, Manipal, Ahmedabad, Gokarna and even New Zealand, its website states. A few ventures in the broader online vehicle rental space have attracted investor attention in the past few months. In April, online scooter rental platform Vogo raised $7 million (Rs 45.5 crore) in a round led by homegrown ride-hailing major Ola. Venture capital firms Stellaris Venture Partners and Matrix Partners had also put in money.